March 23 & 24, 2019 – Vermont open house weekend. Open Saturday from 9 a.m. till 3 p.m. and Sunday from 10 a.m. to 3 p.m. Stop by for a tour of our operation. Bring your snowshoes and take a walk through our sugar woods along the roads named after our grandchildren. 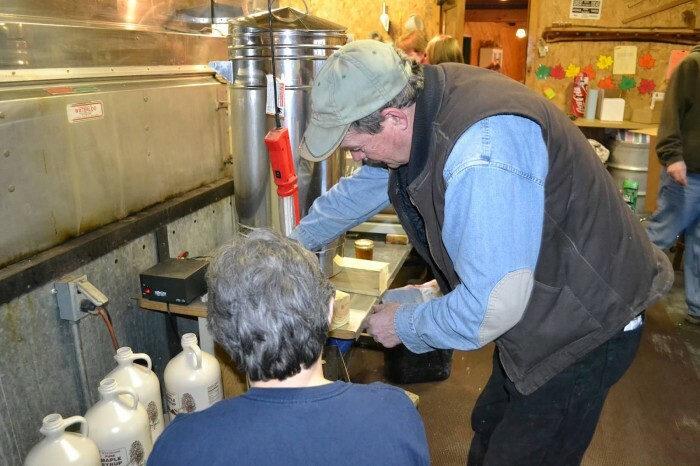 Return to the sugarhouse for maple treats including a fresh hot syrup sample, sugar on snow, maple soda, and other maple goodies. Warm up around the wood stove and visit with friends and our family. Not up for a hike in the woods? No problem, gather around the arch and watch the sap boil (weather permitting) and smell the sweetness. Warm up inside our living area by the wood stove. 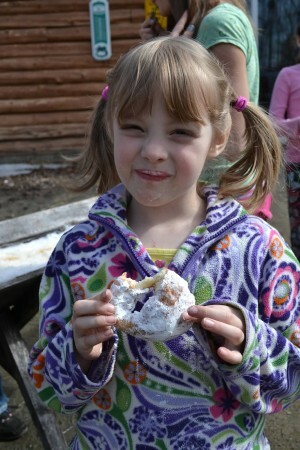 Kid friendly and full description of the sugaring process to all visitors.